Write Away is a book to grow in. It can also please you and tease you. 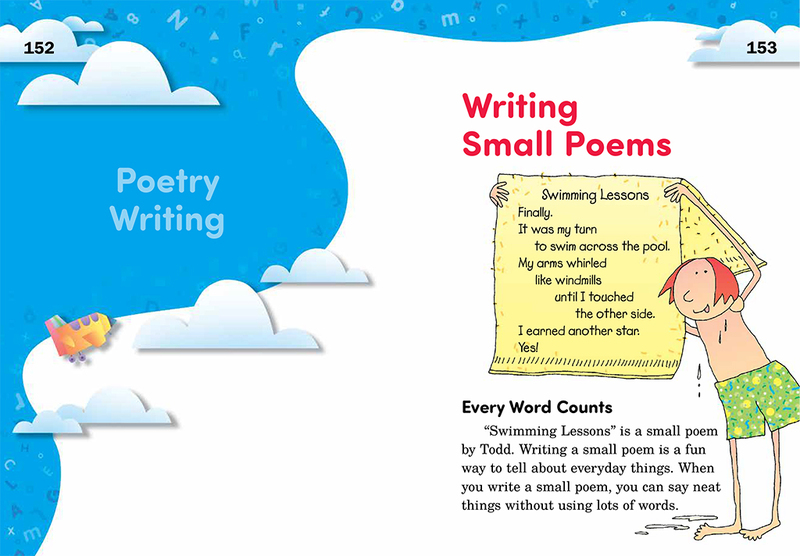 It is your own friendly book about writing and learning. Think of Write Away as your special helper. 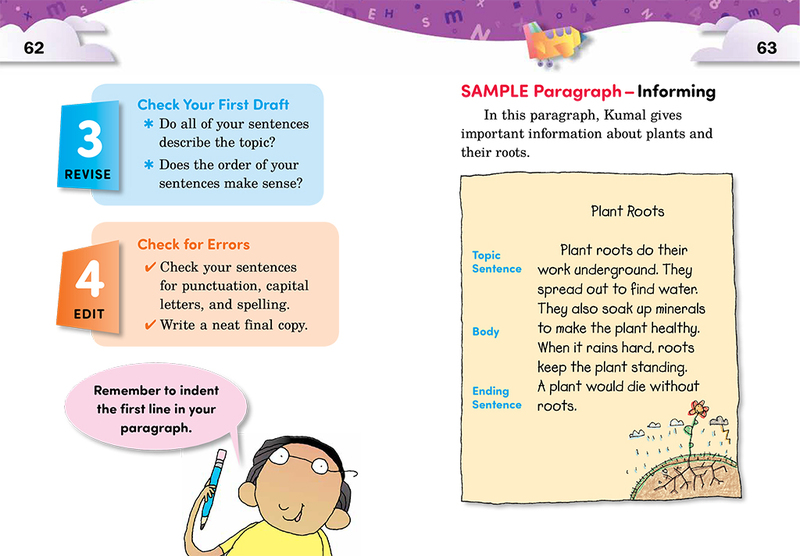 It will help you do your best writing and learning. It is one book you will want all for your own! 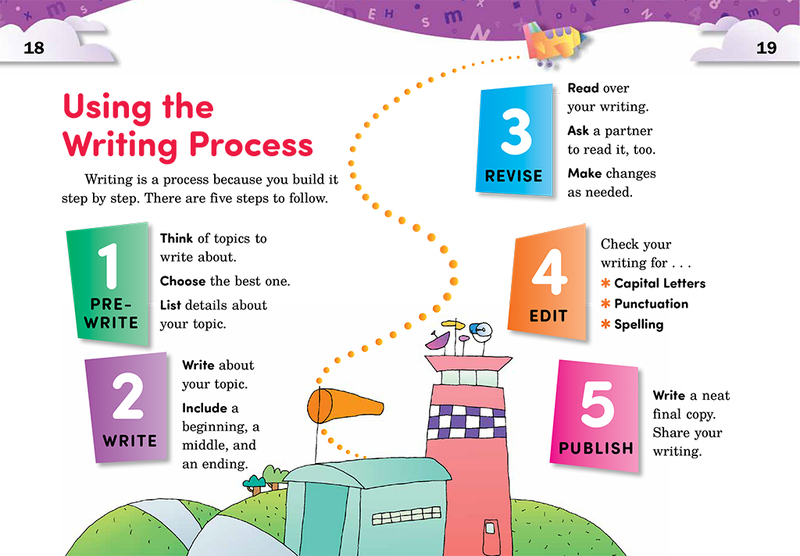 The Process of Writing helps your students prewrite, write, revise, and edit. 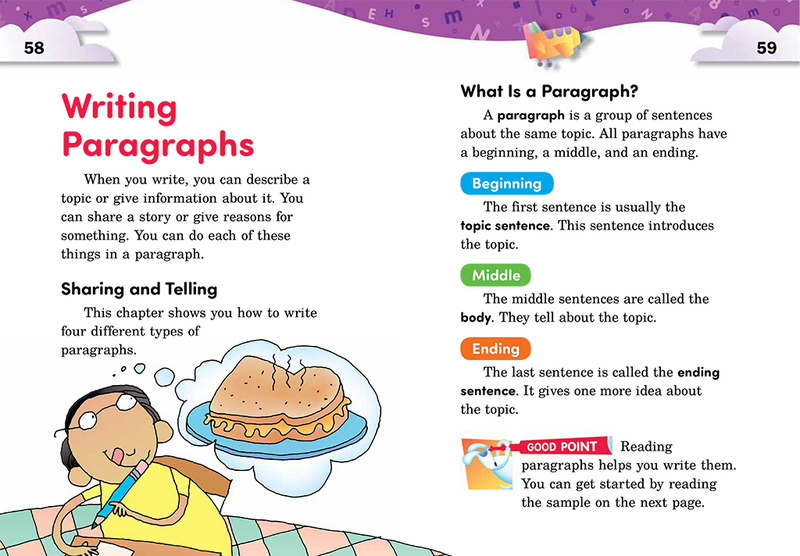 The Forms of Writing shows your students how to write paragraphs, essays, reports, stories, poetry, and much more. The Tools of Learning teaches skills for student success in all classes. 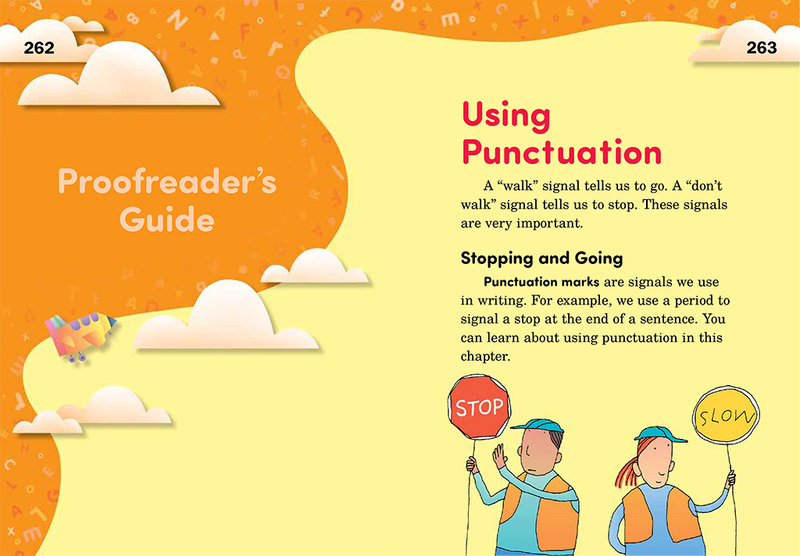 The Proofreader’s Guide helps your students with key points of grammar. 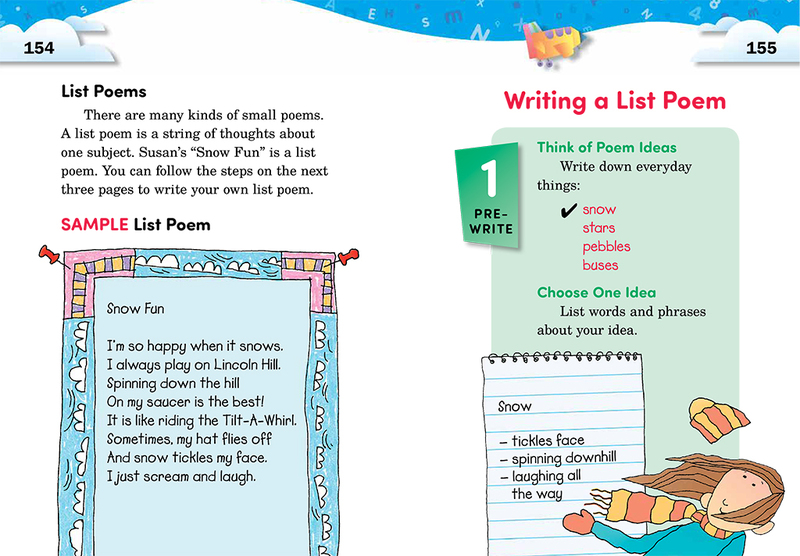 The Student Almanac guides young writers across the curriculum. 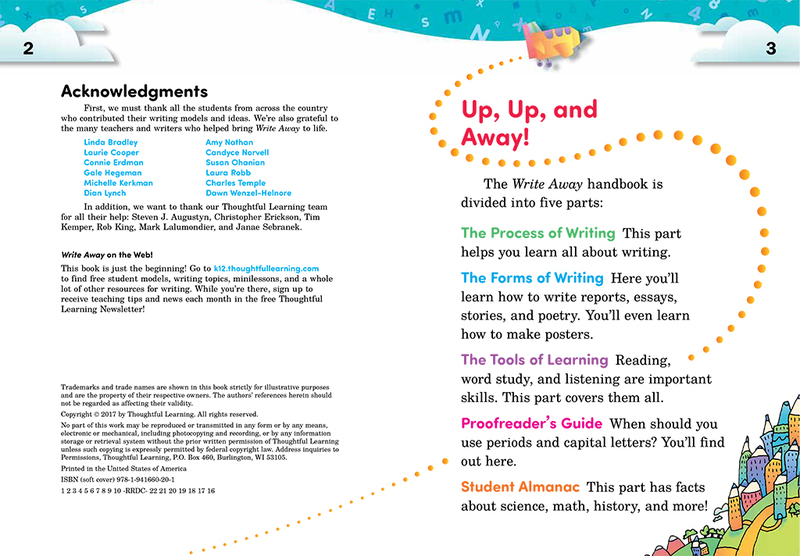 A free online Write Away Teacher's Guide will walk you through the student handbook, giving advice for using each page in your classroom. 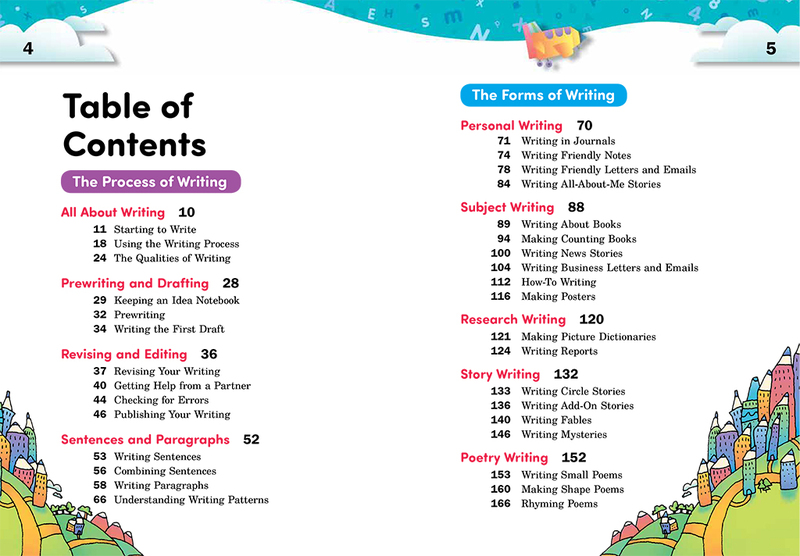 You'll also find free document downloads, related minilessons, additional student models, additional writing topics, videos, and more. 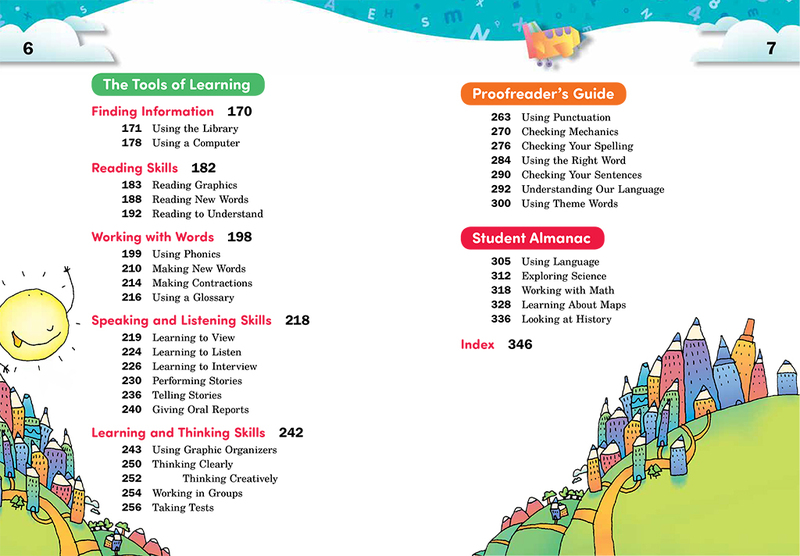 And the Teacher's Guide correlates every page to the Common Core State Standards, connecting you to even more resources. 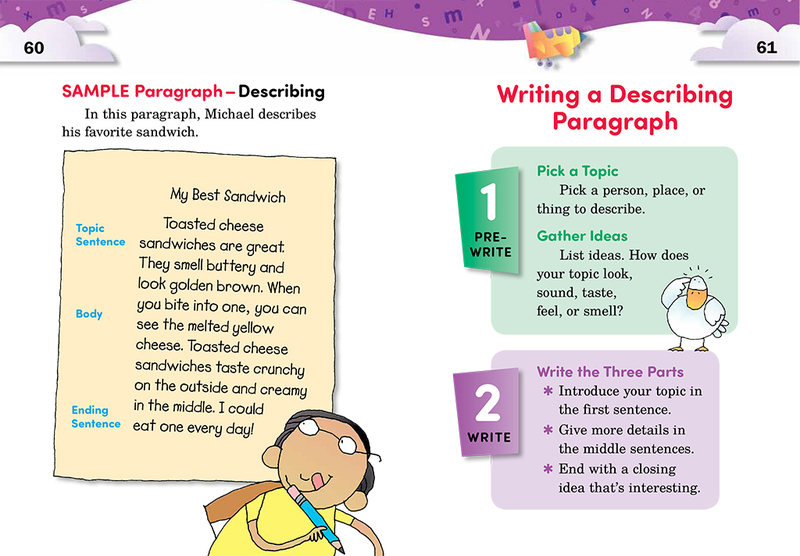 Also, check out the Write Away SkillsBook, teaching punctuation, capitalization, mechanics, usage, spelling, and grammar. To see how these components work together, download the Program Overview, which includes a 4-step process for getting started.